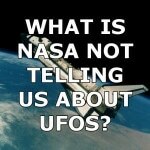 Is NASA Covering Up Proof Of UFOs? There are things up there in space that remain unidentified and the have been photographed many times. This footage comes from the STS 48 Discovery mission and shows objects moving between the shuttle and the Earth. What they filmed is up for debate, but they don’t seem to be ice or dust near the lens, though many of the UFOs filmed from space capsules turn out to to be objects like that. Does NASA footage reveal the presence of UFOs over the Earth? Here is what Kimberly Ruble of Guardianlv.com had to say about this UFO film. When it comes to some of the most unexplained footage of unidentified flying objects, there has been spectacular UFO film footage released from the NASA STS 48 Discovery Space Shuttle Flight. They filmed this original UFO footage between September 12 and 18, 1991. The top secret NASA film shows a UFO following after the space shuttle while it was in orbit during one of its mission. NASA continues to refuse comment on the video even though it has come straight from one of the Discovery missions and it is most definitely at the top of the unexplained list. This footage has not been photoshopped, altered in any way, is very well documented, and has been the subject of an ongoing arduous scientific examination by multiple astronomers, scientists and space institutions all over the world. The footage is available on YouTube and it is also below for anyone who wants to view it. The video appears to show at least a dozen objects moving around in an unusual manner. Along with that, what seems to be the most amazing part is when one entity is near the horizon and some sort of flashing occurs. It is then followed by yet another object that travels extremely fast across the field of view. After this, the first body takes off into space. 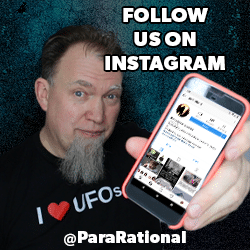 Regardless of what we are seeing in this footage, the evidence from the thousands of UFO sightings clearly show that something is in our skies. My suspicion is that we are seeing a mix of alien visitors and our own black project aircraft. The question now is why are we still being kept in the dark by our “leaders” and when will we get official confirmation that aliens exist?